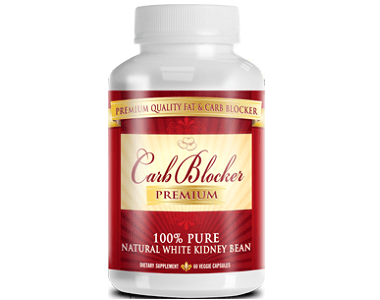 Today, we are going to review Maximum Strength 3-in-1 Carb Blocker. 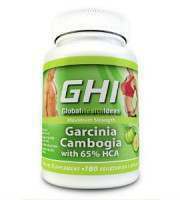 This product was developed for people who specifically eat foods that contain high carbohydrates. 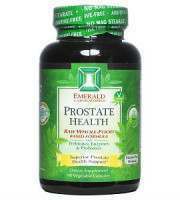 The product was manufactured to neutralize carbs, enhance digestion and to support metabolism. To obtain the optimal results in weight loss, you need to consume the product in conjunction with a healthy diet and regular exercise. These ingredients are combined in the product to assist people who eat foods such as pasta and bread, and want to lose weight. The other ingredients found in the product are Gelatin, Purified Water, Soy Lecithin, Glycerin, Beeswax, Annatto, Titanium Dioxide, Silicon Dioxide, St. John’s Bread and Turmeric. Before you consume the product, visit your health professional to determine if you are able to use the product. 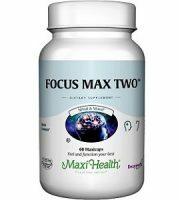 The manufacturer has recommended that you take 2 soft gels twice a day before meals. We have not been informed of the best time of the day to consume the product. 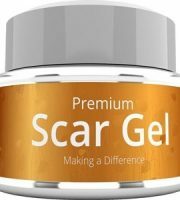 You are able to buy the product on Amazon, which consists of 75 soft gels for $17.99. Shipping costs have been included in the price. The manufacturer has not provided any discount on the product. There are no side effects listed on the official site. 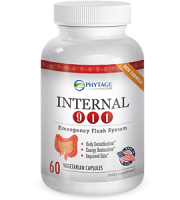 We checked on Amazon for customer testimonials, and we discerned that several customers said that they felt dizzy and had stomach discomfort after using the product. We have searched for a guarantee on the official site and on Amazon. Unfortunately, this product does not come with a guarantee. In most cases, when the product does not contain a guarantee, it means that the manufacturer does not believe in the product. If the product is able to deliver results to consumers, a guarantee would be inherent. 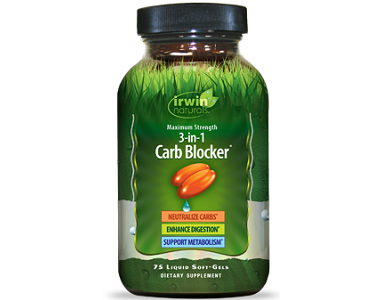 Irwin Natural has made Maximum Strength 3-in-1 Carb Blocker for people who specifically eat foods that contain high carbohydrates. 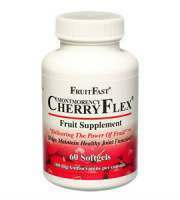 The product was manufactured to neutralize carbs, enhance digestion and to support metabolism. To obtain the optimal results in weight loss, you need to consume the product in conjunction with a healthy diet and regular exercise. 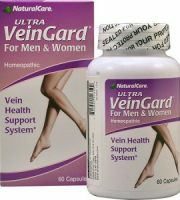 We found several key issues with this product. 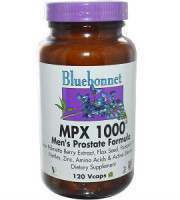 The manufacturer has recommended 2 doses a day, although, no mention is made when is the best time to consume the product for optimal results. 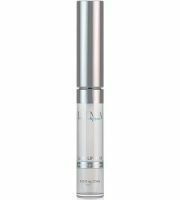 The other concern we have for this product is that it will only deliver optimal results if it is combined with a healthy diet and regular exercise. 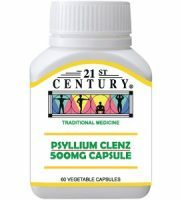 Certain customers complained that the product made them dizzy and gave them stomach discomfort after consumption. The manufacturer has not made a guarantee available for this product. Usually, when a product does not come with a guarantee, this is a sign that the manufacturer does not believe the product can deliver consistently good results to consumers. If the product does not work, you will not get your money back.